August is coming to an end and the warm Summer weather is coming to an end too. Usually, I crave for soups in Winter and I dare to experiment different kinds of soups. 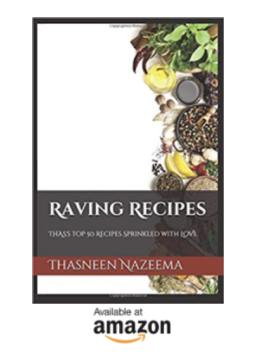 When the hot Summer arrives, I seldom make soups and my focus will be on making cool salads and drinks. 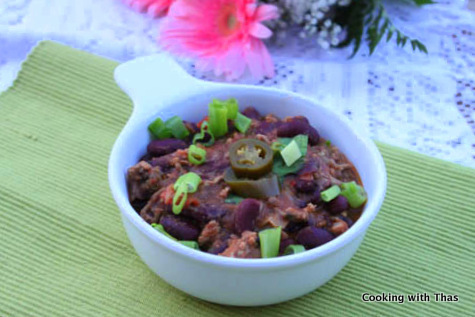 However, today in the evening I started thinking about Chili, it was a pleasantly hot day today. 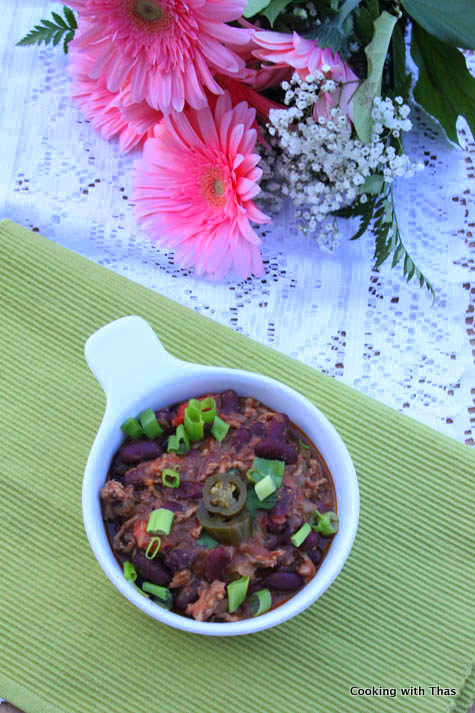 A bowl of Chili soup has always given me the needed comfort and made me feel content. First, I went for a quick grocery shopping and bought all the ingredients needed to make the chili: ground beef, red kidney beans, pickled jalapeños etc. 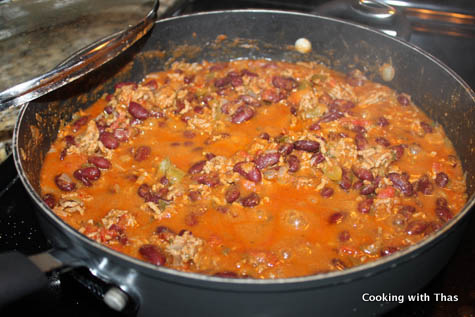 Making chili is so easy, it’s a one pot meal and all you have to do is to throw all the ingredients into a large pot and simmer it for an hour. Literally, you don’t have to do any work, by the time you feel hungry the hot chili soup will be ready to be served. This is a very thick soup, and the spice level can be adjusted according to your needs. While serving, it’s topped with minced onion, jalapeños and lots of cheddar cheese. You could also make burritos by filling this into a tortilla. It’s that yummy that you feel like having a few bowls of this soup. Add onions and green pepper, saute for a couple of minutes. 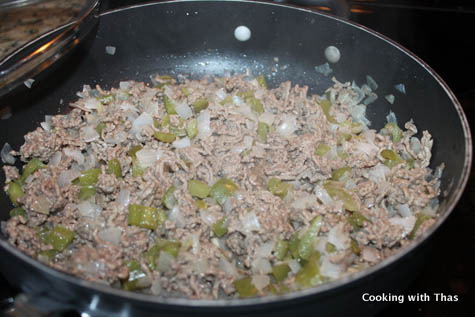 Add ground beef and salt, combine well and cook covered till beef is no longer pink in color. Using a wooden spoon, break the ground beef if it forms lumps. Add pickled jalapeños, red kidney beans, diced tomatoes, tomato sauce, ground cumin, chili powder, dried oregano, dried basil and more salt. Cook covered for 30 minutes, if the mixture gets dry add water accordingly and cook. If you need it to be more spicy add more chili powder or jalapeños. 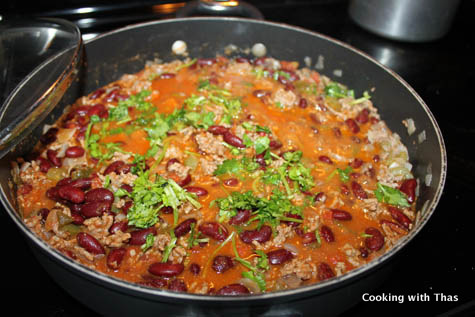 Add cilantro and cook covered for some more time till the soup has thickened and the ground beef has cooked well. Remove from the heat and keep it covered. Serve in a soup bowl, top with 1 tsp of minced onion, 2 slices of pickled jalapenos, and cheddar cheese, serve warm along with tortilla chips. You could even make tortilla wraps: thicken the soup without much liquid and wrap the ground beef chili into a tortilla, add cheese and fold it.